Apartment with a maximum capacity for four people in Chiclana de la Frontera, Cádiz. 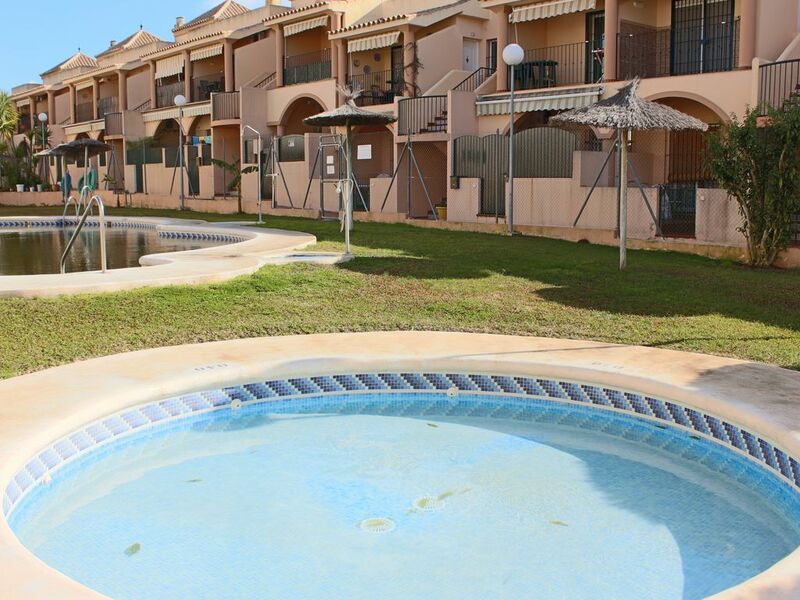 It is located in a residential complex in one of the most popular areas of La Barrosa, just five minutes walk from the beach. The urbanisation is ideal for families with children due to the gardens with children´s play area and the three swimming pools for adults and children, which are open during the summer months. In the urbanisation there are tapas bars, a hamburger bar and small businesses. There are also shops, like the surf shops and hairdressers, a massage centre and Pilates centre. During the summer season there are a couple of grocery shops with extensive opening hours. There is a bus stop to go to Chiclana centre or Novo Sancti Petri. Two bedroom apartment, one with a double bed and in the second one with a bunk bed, living room with TV, well equipped kitchen and bathroom with shower. There is a terrace as well, which is the perfect place to relax or eat. A garage parking space is included with the apartment rental. La tranquilidad Lejos de la playa. Cadiz, un paraíso. El personal que nos atendió muy atento y amable, mostrando interés porque fuera de nuestro agrado. Fenomenal la piscina, y que tuviera garaje, lo malo es que éste es muy estrecho. Lo que menos, garaje demasiado estrecho, si están los vehículos vecinos estacionados se hace prácticamente imposible salir del habitáculo de tu vehículo. Menaje cocina insuficiente para 4 personas. Sartenes muy deterioradas, se pegaba toda la comida. El contacto Momo es muy amable y no molesta ni nigun manera pero hecho una mano si hace falta.